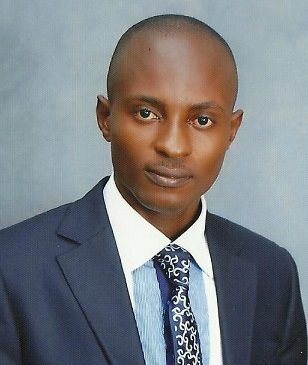 Ifiokobong is the founder of InfoGuideNigeria.com. He managed a team of resource persons and consultant to give daily living guides to Nigeria and Friends. 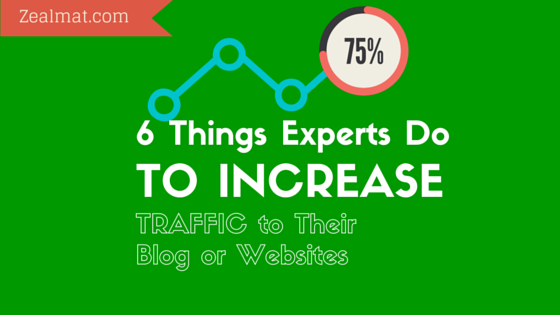 Do you want to increase traffic to your blog or website? If yes, this guide is for you. Blog or website traffic is the only currently to make money online. Even if you are blogging or running an online store, you will definitely need high amount of internet traffic to make sales and profit. But unfortunately, it’s becoming more difficult to increase blog traffic these days. The reasons are simple. There are too many websites and blogs. Again social media are taking over 90 of internet users time. This brings a lot of competition and problem to new webmasters. But there are ways you can improve your blogs or website traffic without breaking the bank. …and that’s what I am sharing with you below. 6 - Do You Talk About! Do not hesitate to visit the different media to promote your website (and your brand in general). Publish articles on other blogs that is not yours, contact journalists to write articles about you, make TV advertising to announce your new product, publish guest articles on other people’s blog ... in short, make more noise about yourself and your website! From this, you will definitely increase your blog or website traffic through referral from other website. It would be a shame not to take advantage of the great social traffic offered by the major social networks in the world. Google + has proven to be a good source of internet traffic. Also, creating a Facebook page only takes a few minutes and can bring significant traffic to your website if you have a good presence. Do not hesitate to put a few dollars for your marketing ( if you can afford it) to improve your website visibility to those who are the most interesting. Google is your best friend when it comes to improving your web presence. By having a strong organic SEO, you will be able to appear in the first pages of the search result with the keyword you are targeting. You will therefore more likely that the visitor (often hurry to find his information) click on the link to your site and finds what he seeks. I used this strategy to increase traffic on my past questions website. A good way to increase your organic SEO? Create a blog and update it regularly! Blogs expresses opinions, treats trends or simply a news feed. A blog is a good way to increase traffic to your website. It is not only a great way to improve your SEO, adding content of your site to Google and indicating that you post regularly, is also a good way to increase the interest of your visitors, who may come back if your content if they are relevant. Yes, it is true that it can be difficult to make a regular update on a blog and it may seem laborious to offer something new and especially at regular intervals. If you do not have time to create articles yourself, it is always possible to do business with employees and experts to compose interesting articles for your blog. On the other hand, if you have time on your hands, you can create content for other blogs! Although all of the above conditions can be met, nothing is more important than having relevant content for your visitors. You can be ultra-present on social networks or very well referenced on search engines, if what you what you say on your blog or your site is not interesting? You will not be able to return your visitors on your blog or website. Give them reasons to come back! If your visitor learns something every time he comes to check it out, who knows, it could perhaps develop the habit of returning the check every week to read and view your most recent publications. One of the best ways to get fresh contents on your blog is to allow guest post. The ideal is to become a reference for your visitor: the one-stop source of information about his favorite subject. This way, he will talk about your site to others as well as recommend you to others. Hey! Email list is the only best way to retain your blog or website readers. See for example, I currently have 150,000+ subscribers in my email list, so I usually have like 10,000 return readers from this source alone. This is not magic but a reality. Apart from increasing traffic, email list will also help you to make and increase recurrent sales from your website or blog. Read more on how you can build a responsive email list here. Here! With these 5 tips, you will be able to attract more visitors to your website. Do you know any others? If so, why not write them in the comments section below? Do you like these tips? If yes, kindly share it on Facebook, Twitter, Google+ and LinkedIn. Sure, that’s the only way you can appreciate us. Thanks @Amodu, I am happy you like this article. Keep reading ZeamaltBlog! You are very correct @Yusuf, you hardly find this kind of articles on other blogs. ZeamaltBlog always rocks! Ifiokobong, thanks for that insight on traffic...I will try to apply the email marketing method if it will work well for me..
Sure, you really need to try it. It's one of my best alternative traffic source. Success! Really a good way to increase traffic but email list and SEO is confusing at times. Yeah they are confusing but you got to learn them if you want to maintain your blog traffic. This is a nice write up, the list up there is just it... I will really need to work on Building Email List.. Thanks Ifiokobong.. Thanks Zealmat! @Emmanuel, you will surely benefit especially if you do email marketing very well. Thanks for reading Zealmat. More Grace! Taking part in forums, especially when you are involved in Google+ Communities, also helps alot. very very informative and helpful article. Great work! Looking forward to get more such amazing posts.